At Solitude Cabins in Estes Park, we consider ourselves your base camp for exploration. Whether you want to hike into Rocky Mountain National Park or check out the vibrant cities along the Colorado Front Range, our Estes Park vacation rentals are just an easy drive. If you’re planning a Colorado vacation that has the perfect mix of wilderness and city life, staying in Estes Park is the best decision you can make. Check out this helpful guide from our Estes Park vacation rental if you plan on taking a few day trips to nearby Front Range towns such as Boulder, Denver, and Fort Collins. 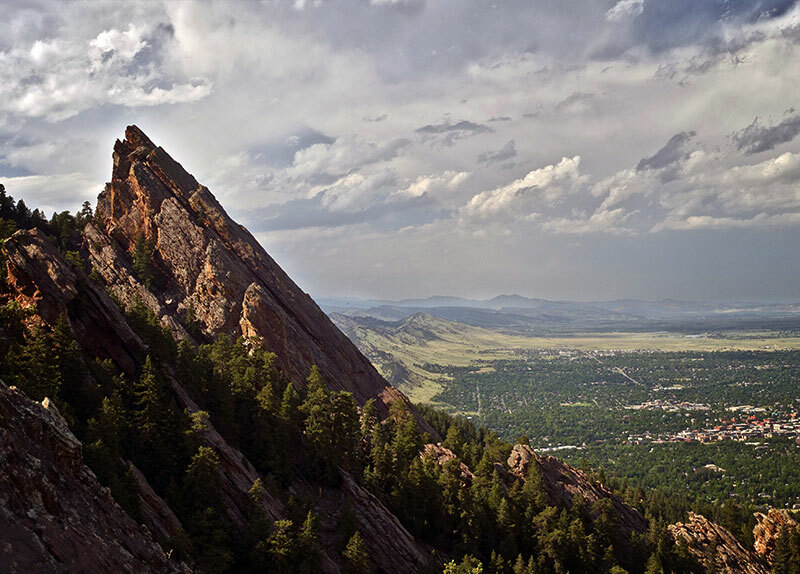 A quick drive from Estes Park, Boulder is the epitome of a modern Colorado city. There’s no shortage of activities in this hustling university town, but here are a few of our favorites. Hiking In Chautauqua Park — The Flatirons are to Boulder as the Empire State Building is to New York City. Get up-close-and-personal with these beautiful rock formations at Chautauqua Park. If you’re up for a hike, you can make it all the way up to the top of the second Flatiron. Celestial Seasonings Tea Tour — You might not think of a tea tour as a must-do attraction, but this one is really impressive. Stimulate your senses as you walk through rooms filled with peppermint and enjoy tea samples along the way. Boulder County Farmers Market — If you’re in town on a weekend in the summer, stopping by the Boulder County Farmers Market means free samples, fresh produce, and delicious treats. 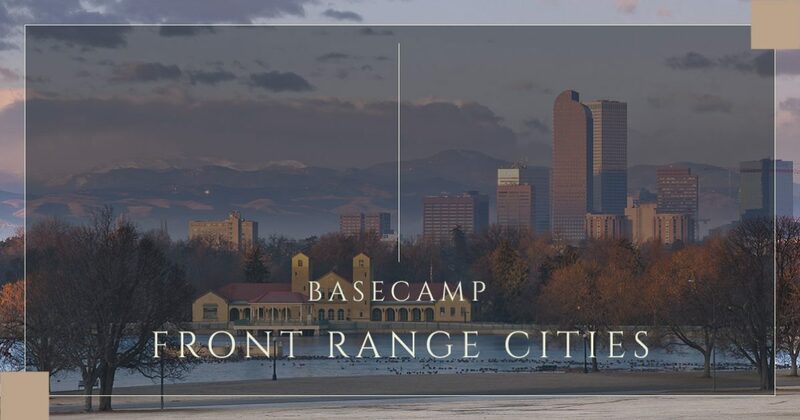 Get a real taste of Colorado life. Denver makes for a great day trip from Estes Park, especially if you drive outside of peak traffic hours. Red Rocks Amphitheater — A quick detour just west of Denver, Red Rocks Amphitheater is a sight (and sound) to behold. While Red Rocks is a destination concert venue, it’s also a solid hiking area to take in views of the city and mountains beyond. Washington Park — Grab a picnic lunch and bring it to Washington Park to sit outside and enjoy a sunny Denver day. With nice weather, “Wash” Park is bristling with joggers, bikers, and cute pups. 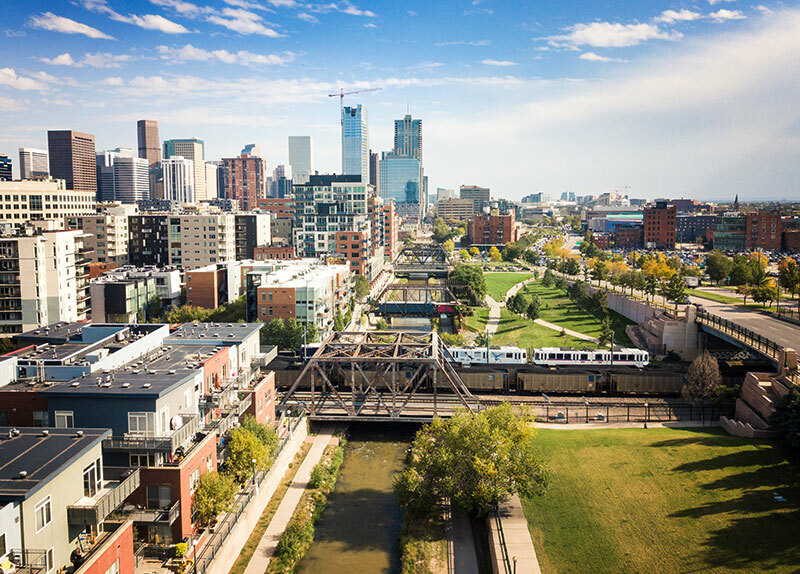 LoDo and the Highlands — To get a feel for Denver neighborhoods, LoDo (Lower Downtown) and the Highlands are two excellent options for brunch, cute boutiques, and, of course, a dispensary or two. Fort Collins is quickly becoming one of the America’s favorite cities to visit — and for good reason. New Belgium Brewery Tour — While there are about 50 great brewery tours you can do in Fort Collins, the New Belgium Tour is world-renowned. Get free samples as you learn about the history of Fat Fire, New Belgium corporate culture, and the beer fermentation process. Book your free tour in advance, as tickets tend to book quickly. 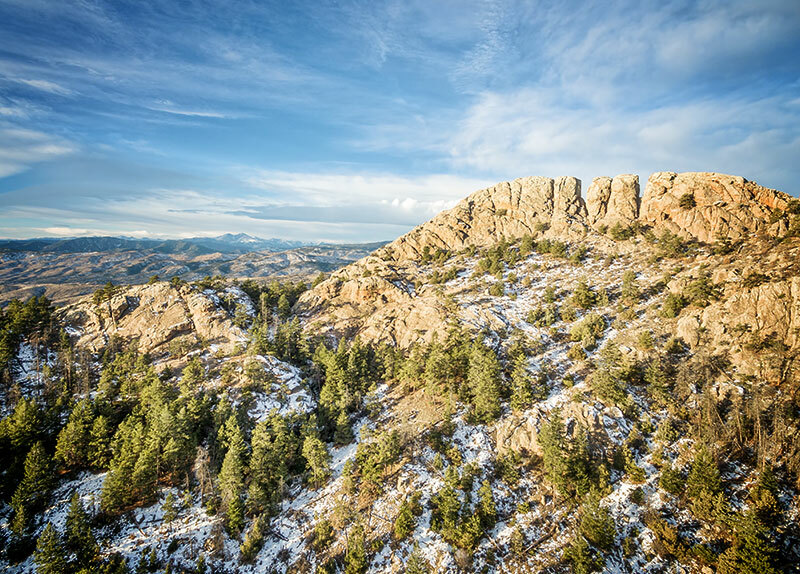 Horsetooth State Park — Hike up to Fort Collins’ signature Horsetooth Rock, or just drive around the stunning Horsetooth Reservoir. When you’re sitting at the beach watching boats zoom by, you feel like you’re in Costa Rica instead of Colorado. Walk Around Old Town — From hipster coffee shops to trendy yoga boutiques, Old Town has something for everyone. Plus, it’s a quintessential adorable main street with plenty of shops to poke your head in. Did you know, that Main Street Disney was inspired by Old Town, Fort Collins? For easy access to the natural and urban beauty of Colorado, plan to stay at our Estes Park vacation rentals. To learn more about our lodging rates and availability, contact us today!